Romney Emerges: Obama Retreats – Does he want to win Election 2012? Who is the real Romney? Who is the real Obama? The first debate revealed two new personalities. Oct. 4, 2012 - PRLog -- Who is the real Romney? Who is the real Obama? Dr. Arlene Barro is a UCLA-trained behavioral educational psychologist. She holds a Ph.D. with distinction for her doctoral dissertation on creativity. 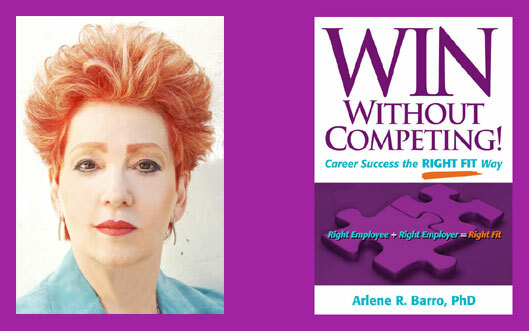 The Right Fit Method, which Dr. Arlene created, is the focus of her book WIN Without Competing!, nominated for a business book award. The book mentors job seekers on how to present themselves as the One Right Fit to employers. To do that, they must create their personal brand and master the Right Fit Branding strategies. To motivate job seekers to recognize the importance of their brand and whether it’s effective in their job search, Dr. Arlene developed the app iBrandU4Hire: Rate Your Brand Zero to Hire (http://itunes.apple.com/us/app/ibrandu4hire-rate-your-bra...). Email Jennifer Orell at jennifer@aeispeakers.com, American Entertainment International (AEI) Speakers Bureau, or call her at 617-782-3111 Ext. 118.